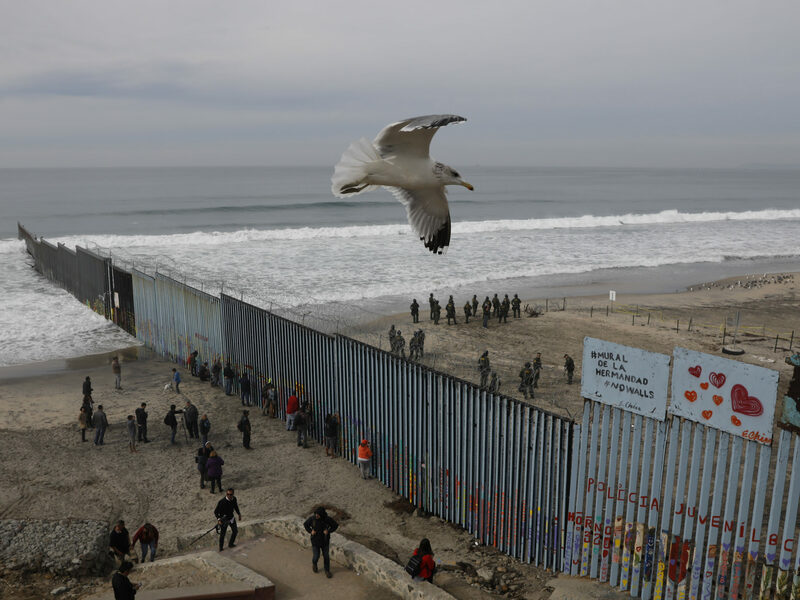 Most undocumented immigrants didn’t enter this country through Tijuana, where news cameras have captured images of thousands of immigrants seeking refuge during recent months. 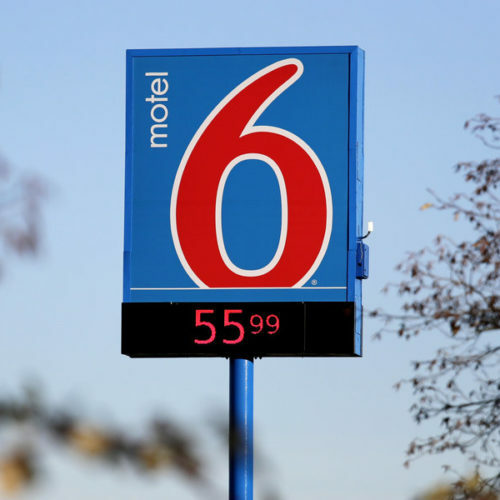 And they didn’t enter near the border town of McAllen, Texas, which the president visited Thursday during the 20th day of a partial government shutdown fought over constructing additional barriers on the Southern border. When it comes to people in the country without proper documentation, the majority of them didn’t cross the Mexican border at all. Most of them came to the United States legally — but then don’t leave. Visa overstays have outnumbered people who enter the country illegally at the Southern border every year since 2007, according to a report by the Center for Migration Studies. 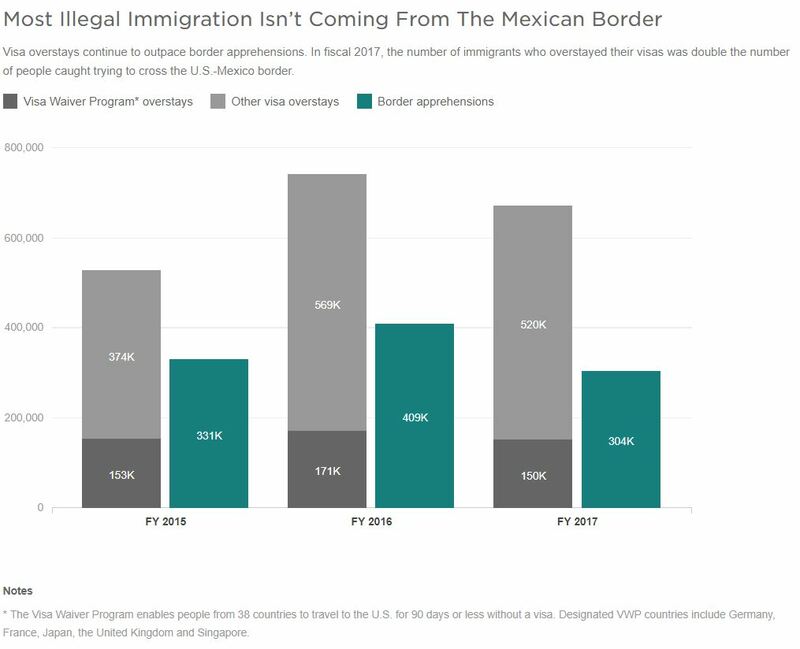 The report’s authors estimate that the number of total visa overstays was 600,000 more than the total number of border crossers and that in 2014, visa overstays accounted for two-thirds of all new undocumented immigrants. 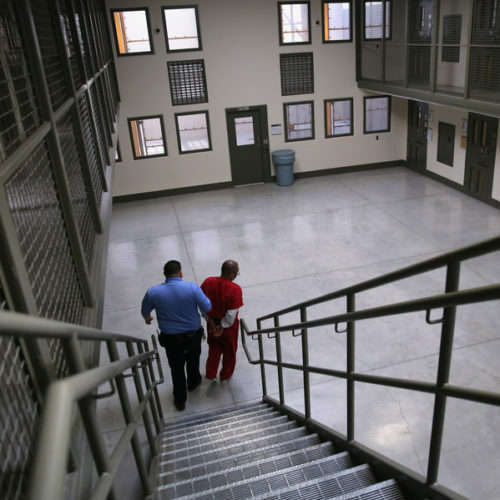 In the last fiscal year, 8 percent of all apprehensions came from this area, which consists of New Mexico and a small portion of West Texas, including the city of El Paso. But in October and November of 2018 — as apprehensions in general ticked up — that area’s share doubled. 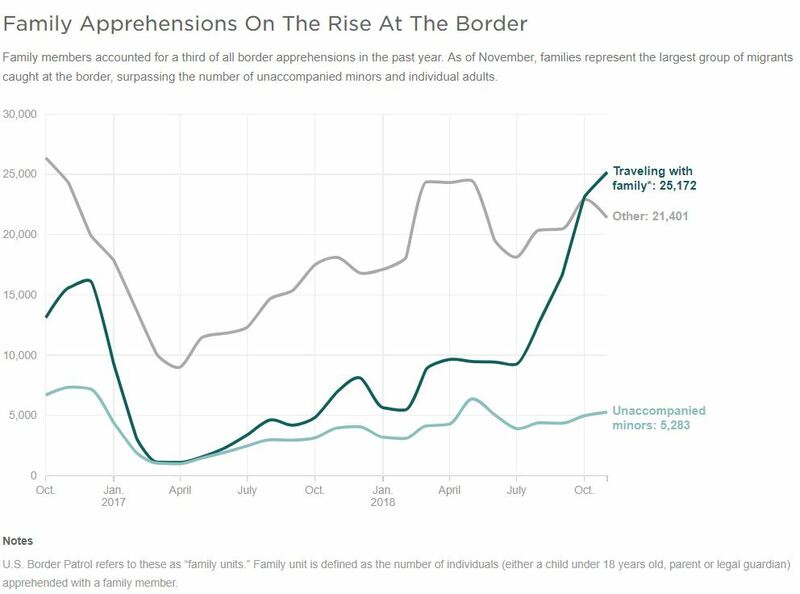 The majority of that growth in the El Paso area has been from apprehensions of what CBP calls “family units.” During those two months, the agency reported that almost three-quarters of all people caught there were traveling with family members. 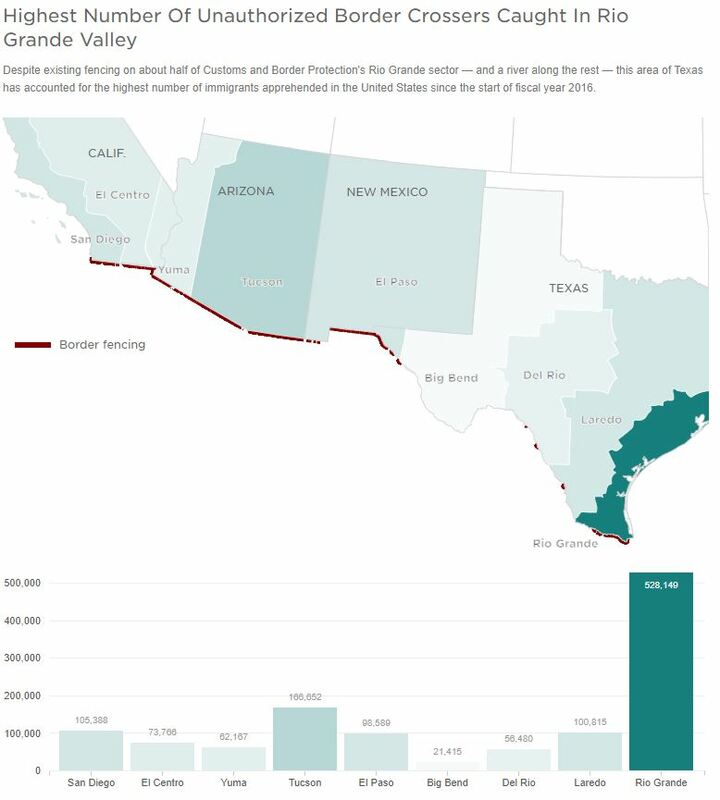 “A growing percentage of border crossers in recent years have originated in the Northern Triangle states of Central America,” wrote Robert Warren and Donald Kerwin of the Center for Migration Studies. 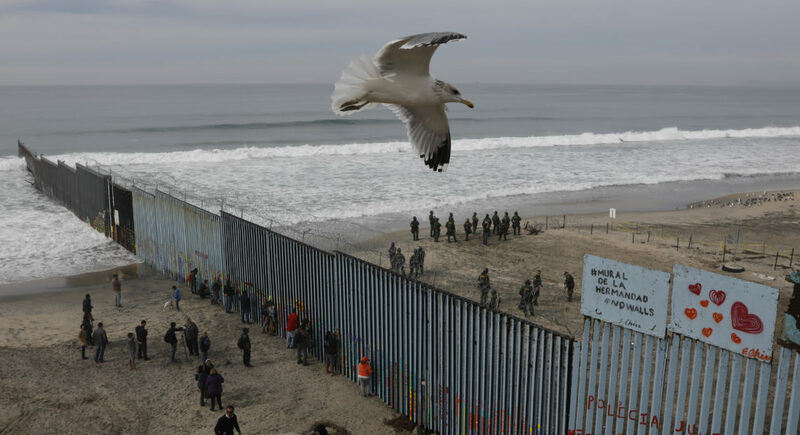 “These migrants are fleeing pervasive violence, persecution and poverty, and a large number do not seek to evade arrest, but present themselves to border officials and request political asylum. Many are de facto refugees, not illegal border crossers,” the authors wrote. In 2017, the Border Patrol employed more than 19,000 agents, almost double the number in fiscal 2003. And the agency’s budget grew from $263 million in 1990 to more $3.8 billion in 2016, according to the American Immigration Council. The budget for Customs and Border Protection — which includes the Border Patrol — has grown from $5.9 billion in 2003 to $13.2 billion in 2016. NPR’s Joel Rose contributed to this report.